12 oz. 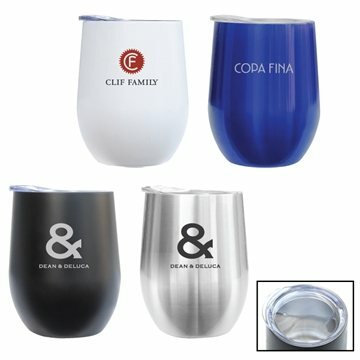 powder coated double walled vacuum insulated stainless steel stemless wine glass for your wine or any drink/cocktail. Looks and feels great in any bar, restaurant, or home collection. Includes a clear sipper lid made from BPA free Tritan Plastic. Food safe 18/8 stainless steel.